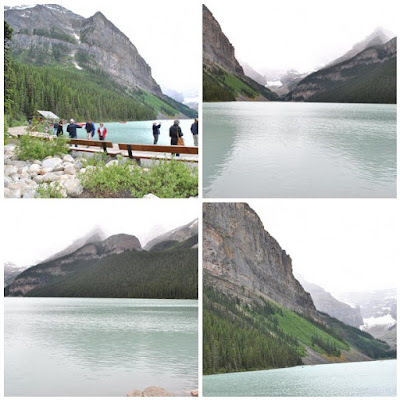 Lake Louise - as you can see, we spent much less time here & have fewer pictures. It was colder, windier & there was less to explore. The colour wasn't as nice as Moraine either, though the first picture hints at what could be.